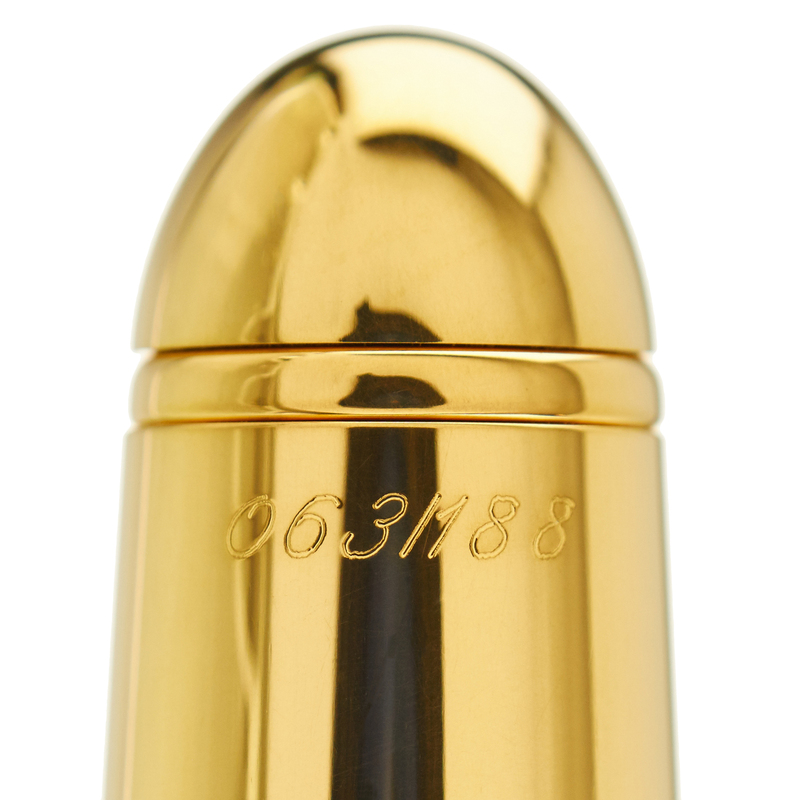 One of the last in Aurora's new series of limited editions, the Aurora 88 Flex Gold Limited Edition is being produced in just 188 numbered pieces worldwide and is expected to sell out quickly. It is also being used to introduce Aurora's new 14k Fine Flex nib, which can be used for our noted Spencerian modification. 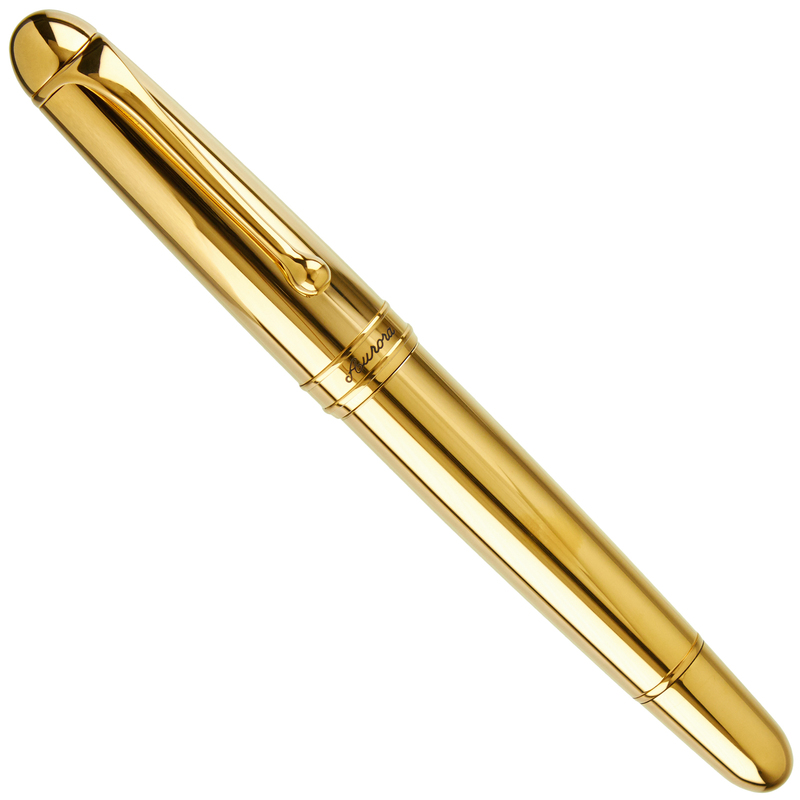 For those who would prefer a different writing experience, we can also make this pen available with your choice from among the full range of Aurora's 14k solid gold nibs. 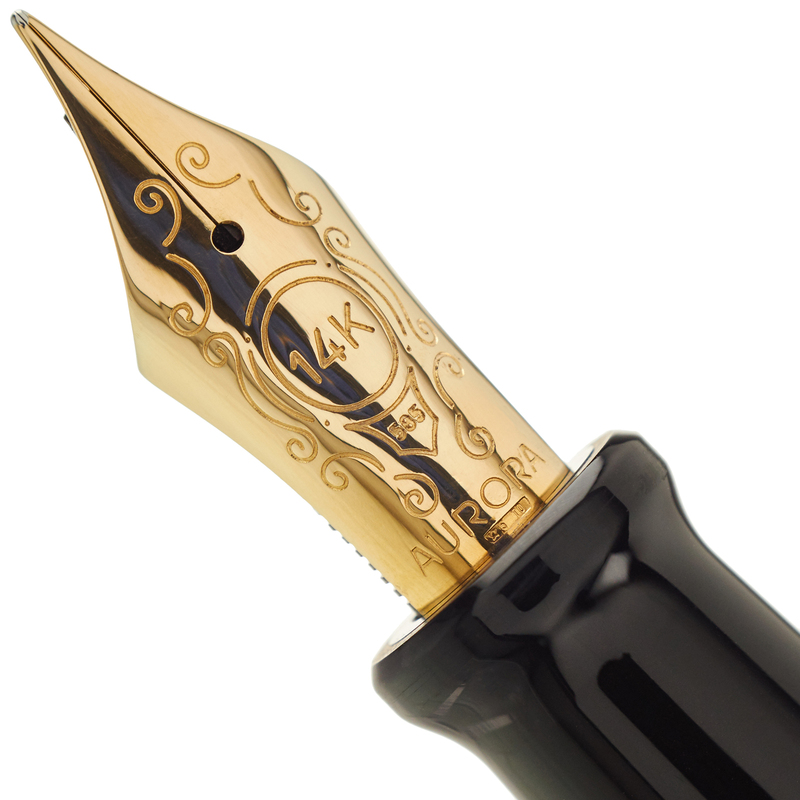 Each pen qualifies for our complimentary nib set-up and optimization procedure, and many of the available tipping sizes serve as excellent starting points for nib customizations besides the Spencerian. 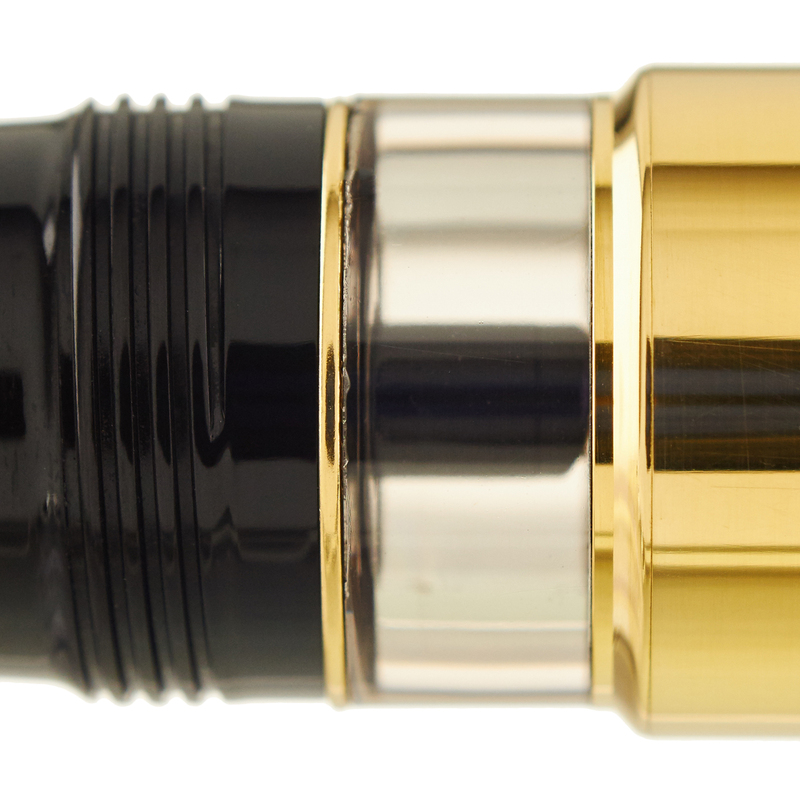 The 88 piston-filler has been a mainstay of the Aurora brand ever since being introduced in the 1950's - 88 series pens have been featured in magazine articles, have been seen often in movies and television shows, and have even been included in museum exhibitions devoted to modern design. 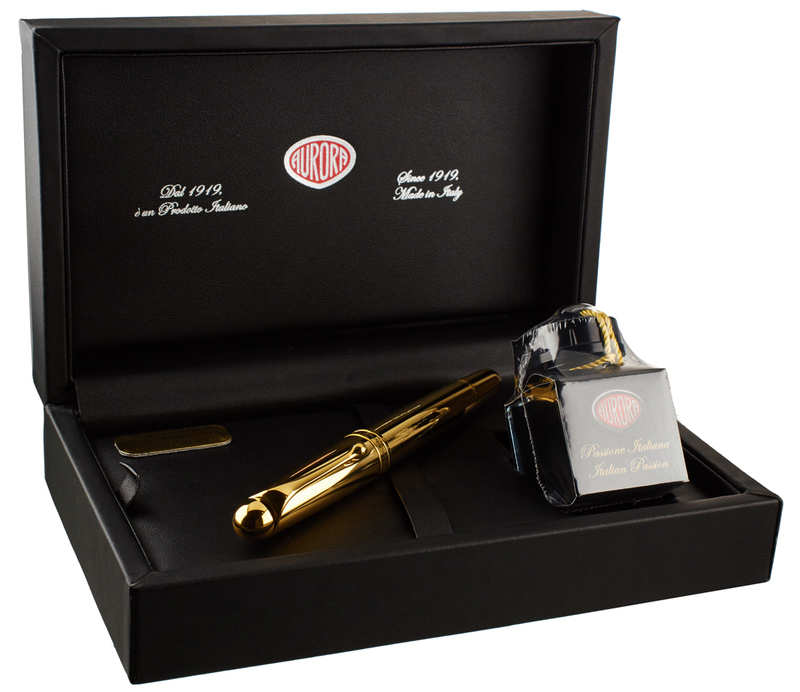 The 88 Flex Gold Limited Edition is expected to sell out quickly - we strongly recommend placing your order soon if you want to be assured of receiving one of these highly-memorable writing instruments. We are an authorized Aurora dealer.